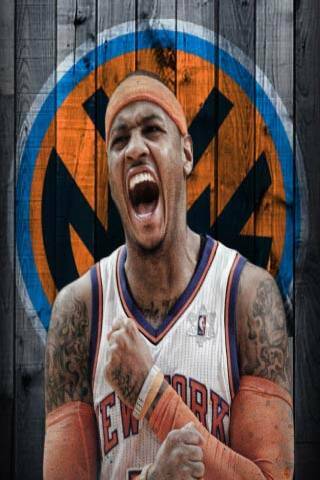 Melo is going hard and ready to bring the Knicks back to glory in this free LWP!!! Carmelo Kyam Anthony (born May 29, 1984), nicknamed "Melo", is an American professional basketball player who currently plays for the New York Knicks of the National Basketball Association (NBA). After a successful high school career at Towson Catholic High School and Oak Hill Academy, Anthony attended Syracuse University for college where he led the Orangemen to their first National Championship in 2003. In the 2003 NBA Draft, he was selected as the third pick by the Nuggets. He was traded to the Knicks several days prior to the 2011 trade deadline. Since entering the NBA, Anthony has emerged as one of the most well-known and popular players in the league.He was named to the All-Rookie team, to the All-Star team six times and to the All-NBA team five times.